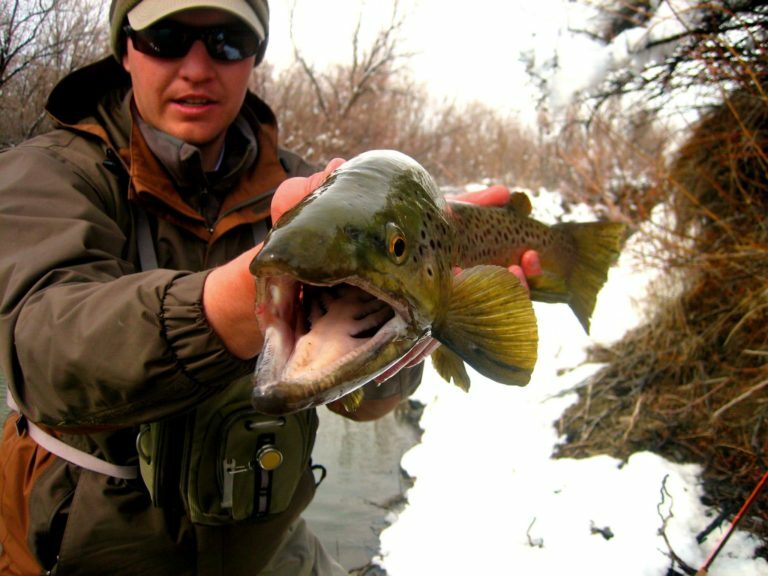 Born and raised in Southern Utah, Jace grew gills at an early age as he explored the entire region with a fly rod. Multiple reservoirs and streams right out his back door fed the passion, which never subsided, and Jace quickly became an expert fly fisherman. A great fly caster also, Jace catches more fish than anyone else we know. No one knows the waters of Southern Utah better than Jace. Jace and his wife, Holli, have three kids, two girls and one boy. Born in Southern Utah, but raised at the base of the Ruby Mountains in Nevada, a fly rod found its way into Kevin’s hands at age 12. He honed his skills on wild brook trout with dry flies and hasn’t put down a fly rod since. He moved to Cedar City, Utah for college and the abundance of streams and fish convinced him to stay. 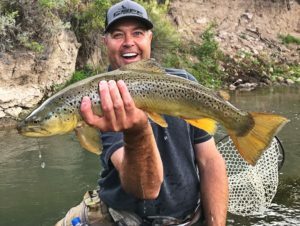 An avid angler for nearly 20 years, his passion is seeing new anglers fall in love with the sport. Kevin and his wife Andrea have three kids, a girl and two boys. Dr. of teeth, master of fly fishing stillwater. Mike shares his fly fishing knowledge with clients after years of stillwater fly fishing with the likes of Bill Schiess on Henry’s Lake, and chasing big trout with Denny Rickards throughout the West. 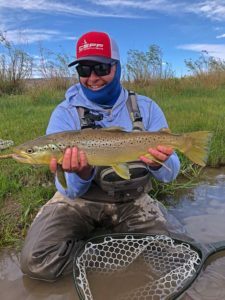 Jace and Current Seams Fly Fishing has a private lake that is the gem of Southern Utah, and rivals any stillwater fly fishery in the country. Mike enjoys meeting new fly fishing friends and getting them hooked up on big trout. Raised in the small town of Kanab, Utah, Shaye grew up in the heart of color country enjoying all it had to offer. Shaye has a huge love for anything outdoors and has been a life long outdoorsman, hunter, and fly fishing fool. 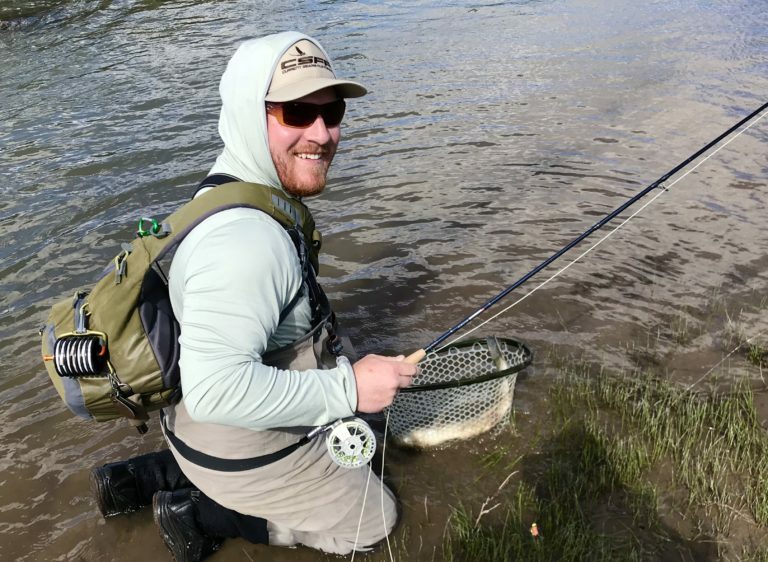 As an avid fly fisherman, Shaye has a knack for catching fish and wants everyone to catch fish too while having a great time -whether you’re a beginner or experienced angler. Shaye and his wife, Ashley, have three kids, two boys and a new little girl. 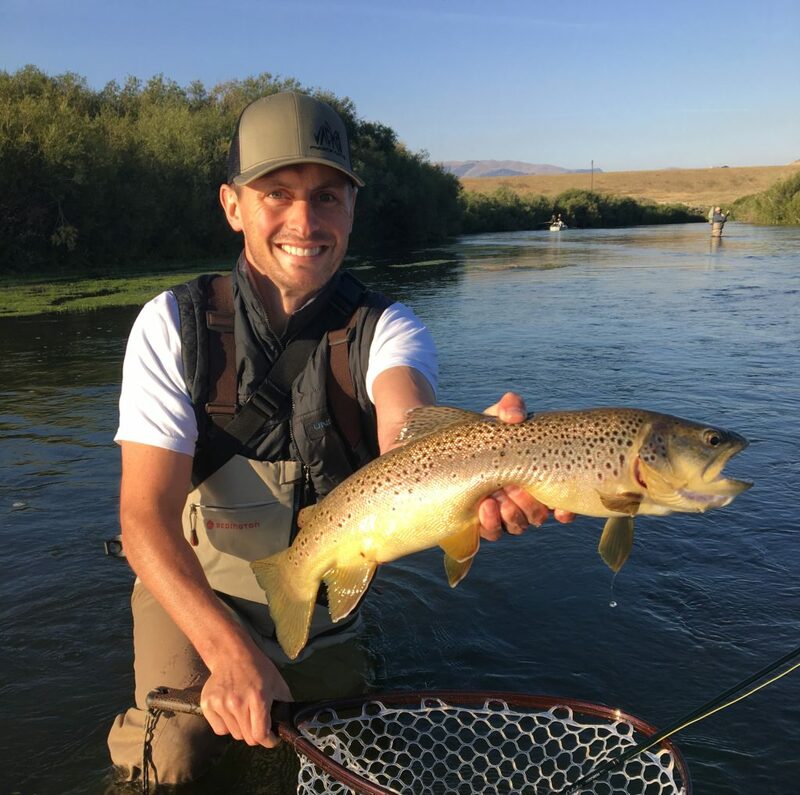 Logan found fly fishing while attending college in Southeast Idaho. Despite his late introduction to the fly rod, his skipped classes and slightly manic behavior got him up to speed on hooking trout on the fly. After graduating college, Logan moved to Las Vegas. Eager to find trout in nearby waters, Logan booked with Jace of Current Seams Fly Fishing. Instantly recognizing Logan’s drive, Jace showed him the ropes of Southern Utah. Logan understands having to travel for trout and will make the most of your precious time. His love for people and fish makes for a truly memorable experience on the water. Logan and his wife Ryanne just recently had a beautiful baby girl!